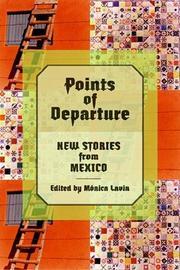 A satisfying collection of 17 short stories by as many writers, all born in the 1950s and 1960s. Most seem to center in spasmodic political violence (Alvaro Uribe’s “The Hostage”) or complicated sexual relationships (Rosa Beltrán’s “SchehereSade,” Enrique Serna’s creepy “Self-Love”). But the best are the least conventional: Eduardo Antonio Parra’s “Real Life,” in which a cynical newspaperman has his priorities rearranged by a cheerfully amoral street couple; Daniel Sada’s “The Basilisk,” a deft revelation of how a small boy’s encounter with a snake erodes his complacent family’s sense of privilege and security; and especially Francisco Hinojosa’s “Marina Dosal, Juice Vendor,” a clever kaleidoscopic portrayal of its eponymous central figure: a bawdy cultural attraction, earth mother, and sibyl. A fine collection.